If you are you suffering from lower back and hip pain, you are certainly not alone. Lumbago, derived from the Latin word ‘loin’, is another term to describe lower back pain. About 40% of people have low back pain at some point in their lives. In the developed world, this estimate may reach up to 80%. It is also regarded as a common cause for absence from work. The pain may be dull aching, stabbing, or shooting pain in cases of nerve compression. Back pain is categorized based on its duration into acute (within 6 weeks), sub-chronic (6-12 weeks), and chronic (lasting more than 12 weeks). Overall, the symptoms of low back pain will improve within a few weeks. Approximately 65% of people will improve by 6 weeks time. This article will further outline the significance of this complaint, symptoms necessitating immediate medical care, and review current points of care. What Is The Connection Between Lower Back and Hip Pain? Both the lower back and the hip are linked to each other due to their close proximity. This is due to sharing communicating ligaments (sheaths that connect two bony parts together), muscles, and nerves. 1. The ligaments that connect the lower back with the hipbone may become strained. The pain arises from the lower back and spreads to the hip region. Inappropriate posture and lack of proper stretching techniques may precipitate this condition. 2. The muscle connection lies in the paravertebral and gluteal muscles. When they are abused or directly injured, they will tighten resulting in straining lower back and hip pain. This is also due to poor posture and lack of proper stretching techniques. 3. Encroachment on the nerves that supply the hip and lower extremities may give rise to referred pain in these areas. The site of the pain depends on the level and side of the affected bony spine. The term sciatica is used to describe the pain that arises due to injury or compression of the sciatic nerve. The sciatic nerve is the largest and longest nerve in the body. It arises from the spinal cord as a collection of fibers from the lower vertebrae. This nerve is responsible for the sensation of the skin of the foot and entire lower leg except for a small area on the inner side. It also supplies muscles in the anterior, lateral and posterior compartments of the leg. In case of sciatic nerve injury or compression, there is low back pain that spreads down to the hip, buttocks, and leg. The pain extent and distribution is according to the affected fibers supplying that area. That radiating pain distribution is what makes sciatica pain different from other causes. 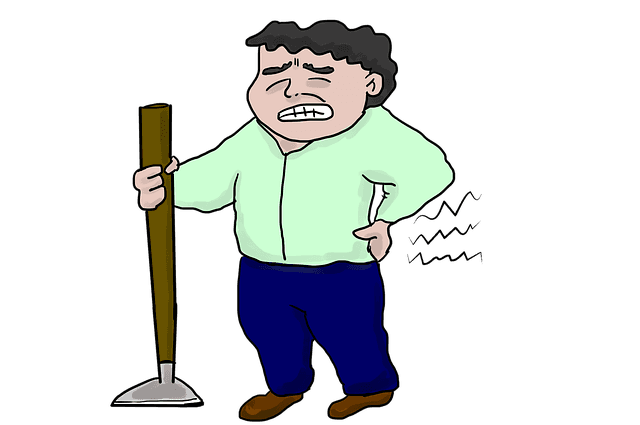 Sciatica may be due to spinal stenosis, herniated vertebral disc, spinal tumors, spinal injury/infection, and inflammation of the sacroiliac joint of the hip. The diagnosis and treatment will be covered below. 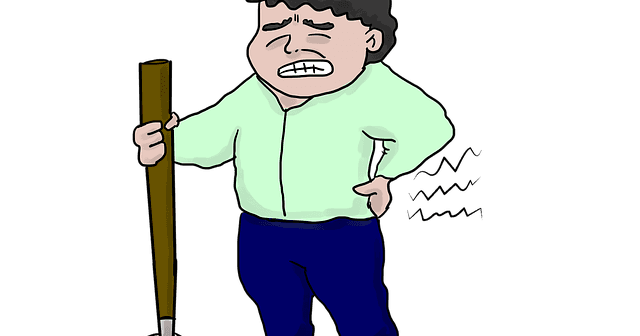 What Could The Cause Of My Back Pain Possibly be? There are numerous causes of lower back and hip pain. Most of these causes are usually overlooked, especially in developed communities with widespread sedentary lifestyles and long working hours. It has been proven that being obese is a risk factor for the development of many medical conditions including predisposition to lower back pain. Furthermore, advice for weight reduction remains a mainstay in the approach to managing chronic spine problems and chronic low back pain. Leading a sedentary lifestyle involves long hours of improper posture while being seated. It may also promote weight gain and end up in a vicious circle of poor outcomes. Your job may include lifting heavy objects. This endangers your spine especially if a twisting motion of the back accompanies the lifting. If your job involves long hours of being seated like most desk jobs, then you need to adopt a daily routine to avoid back problems. Consider early advice and protective devices to improve the ergonomics at your workplace. First of all, the history related to the complaint will be vital to point out towards a diagnosis. Most importantly, any red flags related to the pain will necessitate more emergent imaging tests and possible intervention. The possible cause and treatment are defined according to the character, duration, and severity of the pain. Most of the acute cases are managed conservatively with an aim to restore the function, return to normal physical activity, and minimize the pain. The sub-chronic and chronic cases will need further imaging, laboratory tests, and a multidisciplinary approach. Imaging studies like computed tomography (CT) and magnetic resonance imaging (MRI) are very helpful to determine the problem, its extent, and the need for intervention (surgical or image-guided). This type of intervention has controversial evidence over its application to both acute and chronic type of low back pain. Heat therapy may be used for the treatment of acute and subchronic low back pain. However, neither heat nor cold therapy has been found effective for management of chronic low back pain. Exercise therapy, like yoga, has been found to be effective for chronic lower back pain. It has helped to alleviate the pain and improve the function. This effect may extend as long as six months after a treatment regimen. If interested, here’s an advanced yoga course you can take. The medical treatment for such conditions is divided into painkillers (analgesics) and muscle relaxants. Most importantly, analgesics are essential to help overcome the pain and improve the function. Starting from simple analgesics like paracetamol and NSAIDs to more complex ones like opioids, analgesics have been widely used to help alleviate the pain. There is also a category of drugs to targetneuropathic pain in cases of nerve compression pain. A physician is best to be consulted as analgesic medications do have side effects that need to be discussed and covered before use. For example, elderly patients may be at risk for kidney and stomach problems with the short or long-term use of NSAIDs.